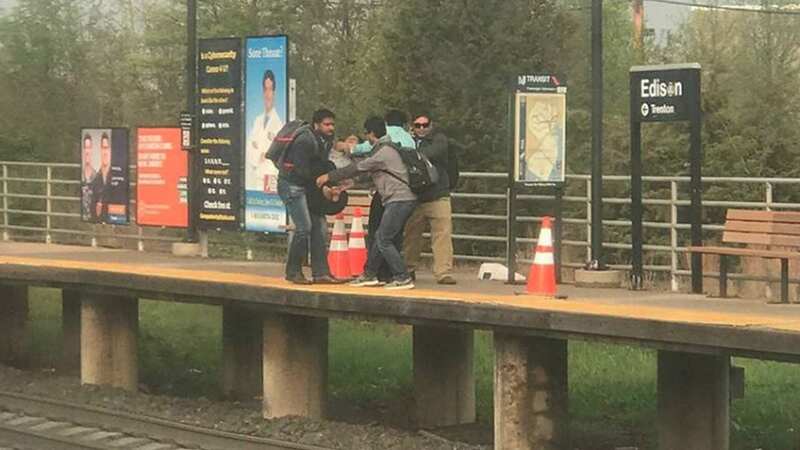 EDISON, New Jersey (WABC) -- Police in New Jersey are looking for the thief who stole a Good Samaritan's backpack after the man jumped into action to save a woman who had fainted and fallen onto train tracks. The incident happened just after 7:30 a.m. Friday at the Edison train station on Central Avenue. Authorities say 34-year-old Anil Vannavalli was waiting on the platform when 26-year-old Madhuri Recherla lost consciousness and collapsed onto the tracks. "The first thing in my mind is, I want to save her. The train seemed a little bit far, so I think we can easily save her, so we jumped in and took a chance," Vannavalli said. Vannavalli reportedly dropped his backpack and leaped down to carry Recherla to safety. While he was doing that, police say someone stole the backpack. The thief made off with Vannavalli's laptop, headphones and about $200 in cash. "This theft, perpetrated in the midst of such a selfless good deed, seems so very disgusting and outrageous," said Chief Thomas Bryan, Edison Police Department. The woman was treated at a hospital. The local PBA presented Vannavalli with a check for $1,000 to thank him for his selfless act and offset some of his losses.